Towards an Asian Strategy for Particle Physics? Snapshot from the recent ACFA meeting. I may have been in the accelerator business in general and the linear collider business in particular for a very long time, but there are still things I have not understood properly – particularly on the political side. Last week I was invited to give a talk about the “ILC Technical Status” to the Asian Committee for Future Accelerators (ACFA). It was their 23rd meeting, but it was the first one I attended. I had always assumed ACFA was a regional activity of ICFA, the International Committee for Future Accelerators, but I was taught that that is not the case. ACFA formed independently in 1996 at a time when there were few activities for accelerator science/technology in Asia, so ACFA was founded to develop the particle accelerator fields in Asia. Its main focus is on the word accelerator: it really is a committee for accelerator-based science, including light sources and photon science, whereas ICFA approaches future accelerator projects from the particle physics side, as complete projects. ACFA’S raison d’etre is to ensure exchange of expertise and experience in accelerator science and technology across Asia and to support society by helping to transfer practical knowledge gained from accelerators to everyday life. Its current chair is Yifang Wang, Director of IHEP, China, and its 34 members include representatives from laboratories in Australia, India, Indonesia, Taiwan, Korea, China, Japan, Vietnam, Bangladesh, Malaysia, Russia, Pakistan, Singapore and Thailand. I was very impressed with various activities reported from China, Korea, India, Australia, and Russia, as well as from Japan. I was especially interested to hear a report on major activities for technology development in Asia, and I had to agree that really worldwide leading activities for Accelerator-Driven nuclear Systems (ADS) are being integrated in China and India as a unique feature in Asia. The ILC technical status and CEPC (Circular electron and positron collider) design status were reported and their technical features were well discussed in good balance as part of the wider range of the ACFA. The ACFA members were very interested in getting updates on the current status of the ILC from “design to realisation” and of the progress in the CEPC technical design, seeing that they would be prestigious global accelerator-based science project in Asia, they were very supportive for those activities. 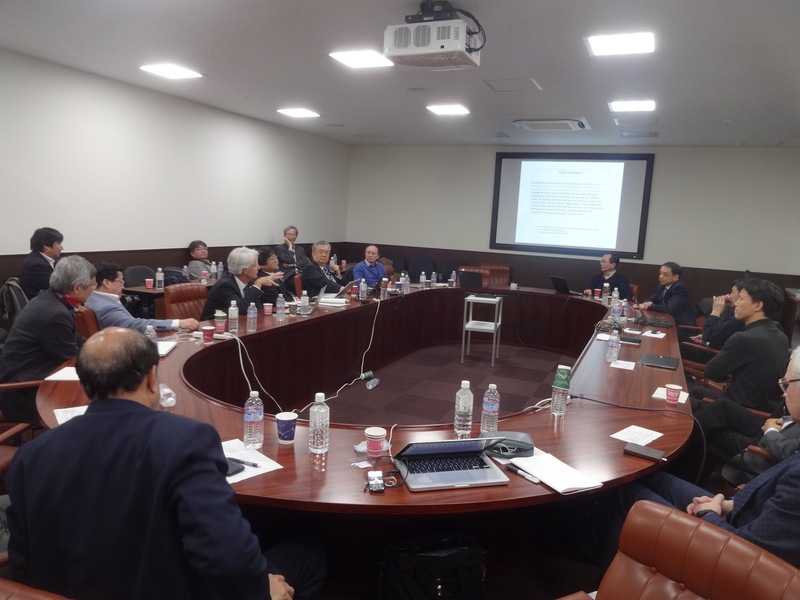 The meeting was actually a joint one between ACFA and an organisation called AsiaHEP (Asia-Pacific High Energy Physics Panel), chaired by George W.S. Hou from National Taiwan University, which covers the aspects of the future of particle physics in Asia. AsiaHEP is a panel formed under ACFA. Its members are not necessarilyACFA members. Meetings have been held by itself, or joinlt with ACFA. The purpose of AsiaHEP is in fact to augment its HEP element.They discussed very carefully how AsiaHEP can work together to encourage the international effort for the ILC as a reality and the design effort led by China for large-radius circular colliders, first focused on “Higgs Factory” (CEPC). AsiaHEP and ACFA plan to jointly issue a Statement on ILC and CEPC/SPPC. The committee is motivated to reach an overall Asian strategy for the future of particle physics, referring the US and the European Strategies for Particle Physics, and the ICFA statement issued in 2014.